It’s easy to lose track of time, especially if you rely on the Internet in your daily work as a freelancer. Staying focused and avoiding distractions with time tracking and invoicing for freelancers can help improve work efficiency. A common productivity hindrance for freelancers who work remotely is the constant barrage of different online distractions. Whether it’s social media, entertainment portals or video streaming sites, these distractions vie for your attention, divert focus and diminish productivity. Using a freelance time tracking app for projects will help you with accurate billings and time management. Whether you are a web designer, writer, writer or a freelance journalist, precise time tracking is invaluable. Keeping a record of your time helps you stay on track, avoid distractions and deliver results promptly and efficiently. It also allows you to invoice your clients accurately and transparently. 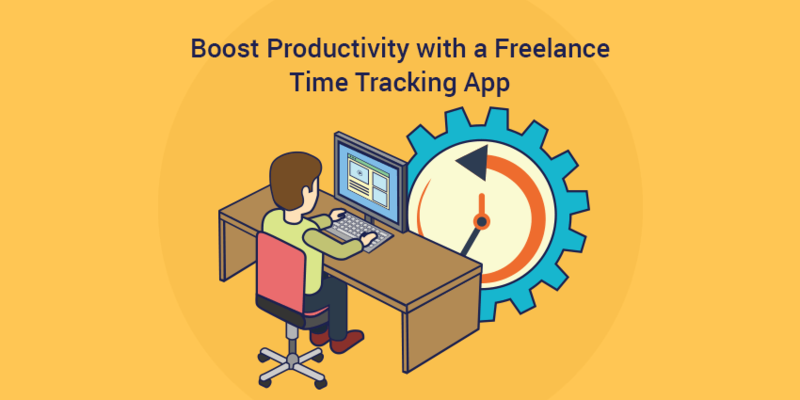 Why use a freelance time tracking app? Poor time management skills can cause freelancers to approach work in a way that scatters creative potential and wastes their time. When they lack focus, their attention is easily diverted or split between tasks. This results in low productivity and, often, mediocre output. The purpose of time tracking for freelancers goes beyond merely measuring the time it takes to complete a task. It also allows you to reshape your working behavior with the understanding that while the timer is running, you are responsible for efficiently producing quality work. Furthermore, time tracking can help you identify habits that compromise your productive output. For example, you may notice that you get the most work done on Wednesdays and the least on Fridays, or you could see a spike in productivity in the evenings. Invest in time tracking software for freelancers to enhance efficiency, keep easy records, understand your best working habits and remain accountable to your clients and yourself. Below are four popular time tracking software for freelancers that can help remote workers identify their working behaviors, easily invoice clients and intuitively track time. Hubstaff is one of the most widely used time tracking apps on the market. It is equally useful to freelancers and employers who manage remote teams. The app works offline and incorporates all important aspects of time tracking, integrated into one neatly designed, user-friendly platform. 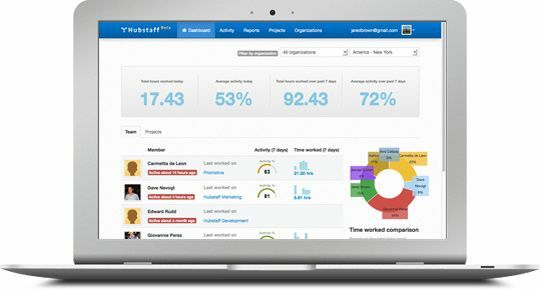 Hubstaff allows you to track the time you spend working, filtered by project and task. For a more comprehensive insight into your activities, the app automatically generates detailed timesheets that are stored securely online. These timesheets are easily modifiable, allowing you to add, edit or delete time manually. Hubstaff users can also add project notes to their time entries. These project notes can be used to describe work or include important notes and reminders in your reports. Productivity monitoring features such as randomized screenshots and activity levels give unparalleled insight into how a user works. Screenshots provide a clear picture of the work being done and activity levels measure keystrokes and mouse movements. Their innovative software enables precise and simultaneous monitoring of multiple users and captures the screen content of all active monitors. For a more transparent approach, freelancers can choose to invite an unlimited number of clients as viewers, so they can access all screenshots and activity levels. Hubstaff also allows user-specific settings, so each worker can be a user, manager, owner or viewer based on their role and needed permissions. Husbtaff also has an iPhone app and Android app which allows for accurate time tracking when you’re on-the-go. Simply tap start / stop to track time when needed on your smartphone, it’s that easy. It also comes with the ability to track GPS locations in real-time so that you can track time against those locations and bill your clients accordingly. With Hubstaff’s budget feature, you can allocate a limited amount of time to certain tasks and prevent team members from exceeding the limit. Simply select the users, payment periods and online payment systems (PayPal, Payoneer) in order to send online payments automatically. Hubstaff’s reporting feature is extremely useful and comprehensive. The program generates detailed reports, which can be customized and filtered by user, date, or project. Reports can then be exported to a PDF or CSV format, and downloaded or emailed to clients for invoicing. Finally, the Hubstaff time tracking app integrates with more than 30 project management and payroll tools, including Basecamp, Asana, ActiveCollab, Wave and Freshbooks. 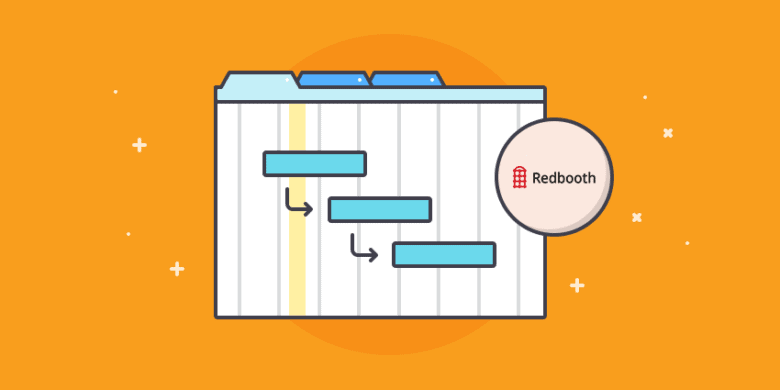 Users can combine their favorite project management software and Hubstaff’s time tracking features to create a seamless productivity machine. Harvest is another popular freelance tracking tool, especially suitable for multiple projects that have different tasks and rates. However, this app doesn’t include desktop monitoring options such as active application and URL tracking. The app allows you to create projects composed of multiple tasks and assign different team members to them. User activity can be easily monitored in real-time, thanks to time logs and detailed timesheets. The app creates insightful reports including billable hours and allocated budgets, which can be exported to convenient formats (XLS, CSV). Harvest turns billable hours into an invoice in less than a minute and sends invoices (in different currencies) equally fast. The program integrates with different apps, such as Basecamp (project management), QuickBooks (accounting) and Salesforce (customer relationship management). This time-tracking app works with Mac, Windows, Android and Linux, allowing you to set daily goals as a way to stimulate your focus and productivity. You can check your progress on the dashboard and see your goal reports. The weekly email report offers a summary of your daily activities and output, so you can plan your time better. RescueTime generates daily reports about the apps you use and sites you visit. The premium version offers the option of blocking ‘undesirable sites’ that drain your productivity, as well as offline activity tracking, where you can log time you spend on meetings, calls, driving to work etc. The notifications feature allows you to set various alerts, so you can be notified if you spend an excessive amount of time on a single activity or if/when you successfully accomplish your preset goals. Google Calendar is a free and convenient way to track your time and appointments to organize your freelancer tasks. You can use this tool to gain clear insight into your daily responsibilities, planned events and common work habits. You can also create multiple calendars and share them with other people to the extent that suits you. The calendars can be completely public or shared only with specific people or groups. You can easily control the things you share by allowing read-only access to event details. You can also manage your calendars and send invitations to events. 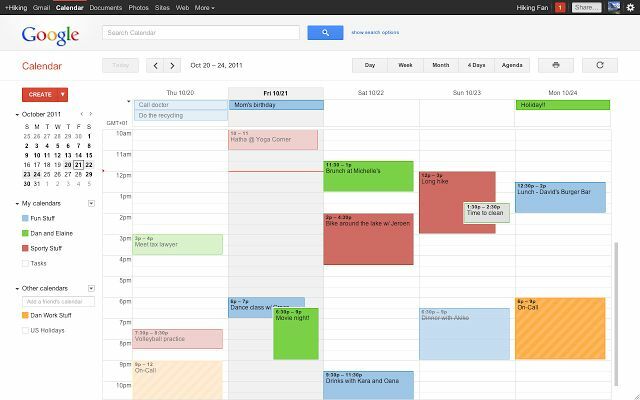 Despite its simplicity, Google Calendar is an extremely useful way to manage your private and professional schedules. It allows you to easily create events using the ‘month’ or ‘week’ calendar view then clicking on a day or hour respectively. Furthermore, you can easily import calendars of events in Outlook, iCal or Yahoo! The app doesn’t sync the events with these programs, so every event must to be imported. Another convenient feature is the event reminder, which can be used to send reminders in the form of emails or text messages. The app links with other Google services including Google Docs & Spreadsheets or Gmail. What software for freelancers do you use to improve your work? Let us know how you track your time and keep things productive.